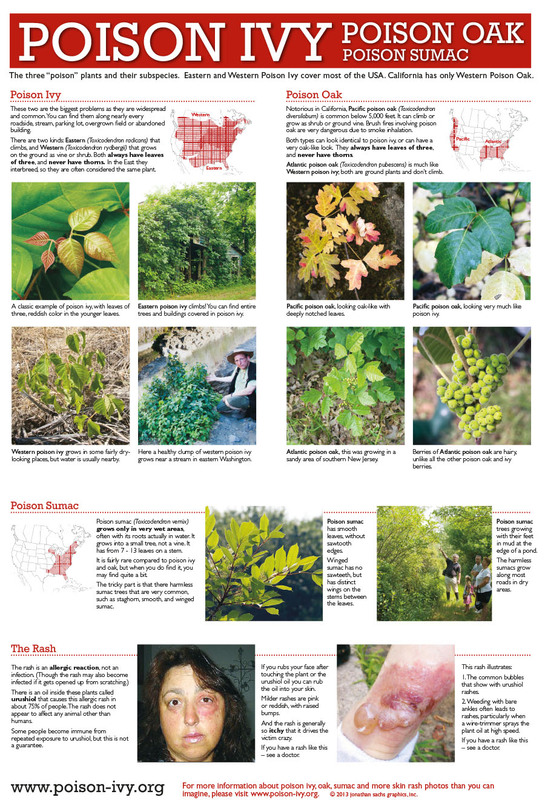 This poster shows both eastern and western poison ivy, AND Pacific and Atlantic poison oak, AND poison sumac. 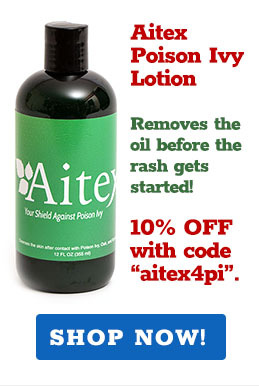 It also contains basic information about dealing with the rash. 16"x19", NOT laminated. This general poster is meant for all of the United States and Canada. BULK ORDER PRICE: 1/2 price, or $7.50. For each 50 posters, shipping included: $375.00. Contact us for bulk orders.